The City Hall is behind us. 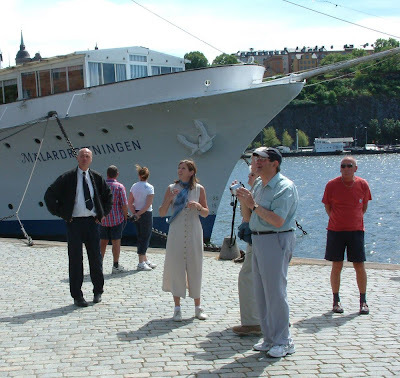 A couple of people are admiring the Mälardrottningen, a floating hotel and restaurant. Others, including our coach driver who is on the left and the young lady who is our guide, appear to be looking at something else.